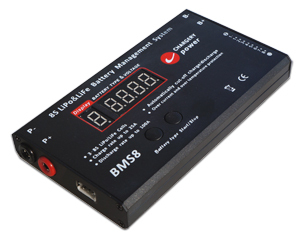 BMS8 is a intelligent BMS designed especially for 3S - 8S LiPo/LiFe battery pack, it has a microprocessor to detect and balance each cell voltage of the 3 to 8 cells in series. The unit can balance the battery while charge discharge or at stand alone mode. Nixie display indicator display each cell voltage, battery pack voltage, difference of cell voltage and the balance state of the battery pack. 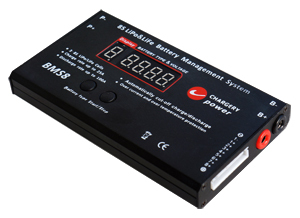 Cooperating with charger, the built-in software can detect the cell voltage in charging or discharging. 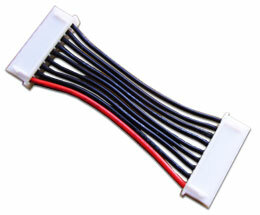 Besides independent balance mode, you can connect any LiPo or LiFe charger to the input lead first, then connect the BMS8 to the balance connector on your pack, finally connect the output leads to the discharge wire of the pack. 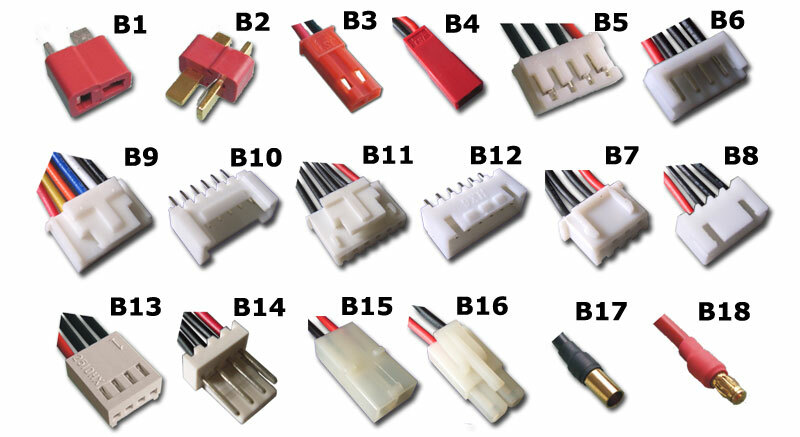 All kinds of balance connectors are customized for TP, Flightpower, Hyperion, Kokam, Graupner lipo batteries and so on. 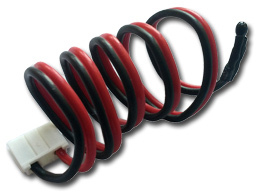 Low quiescent current design, BMS8 draw current from all cells, the power consumption is less than 1mA. 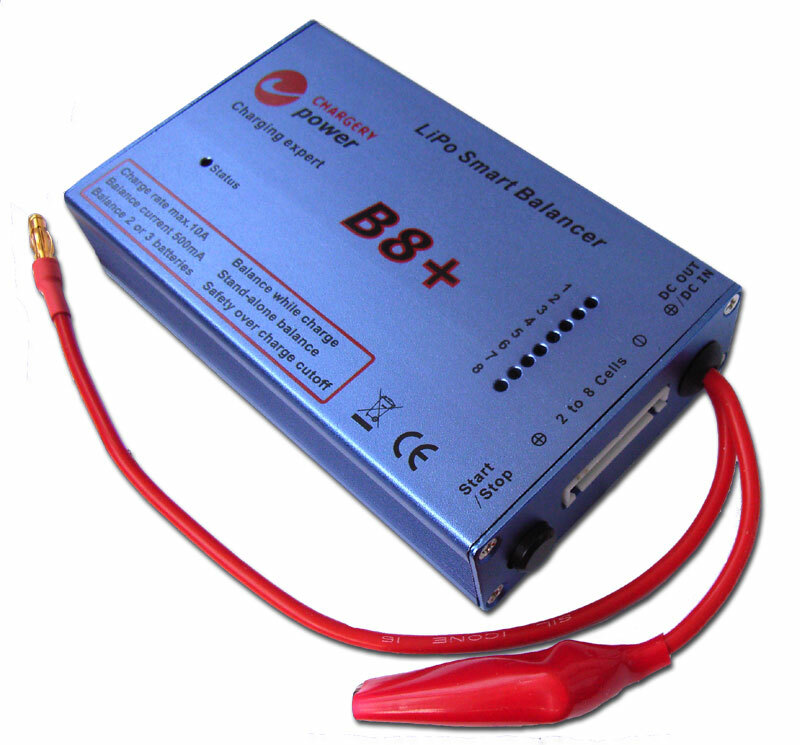 Battery type: 3S to 8S LiPo and LiFe. 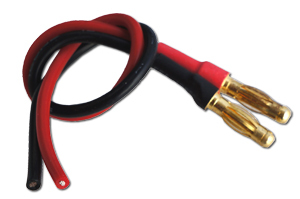 Charge current:: up to 25A. Discharge current: 0~25A continue, 100A burst. 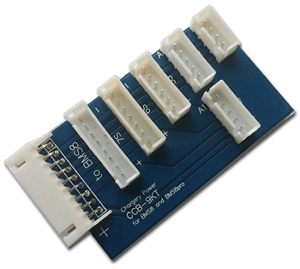 Dimension: 115*68*15(mm, L*W*H) or 4.52"*2.67"*0.59"
To use CCB-9KT, you can connct the BMS8 to 3S to 8S battery pack. BMS8 is fully committed to compliance with the European Union’s RoHS directive. Other Smart Balancers are as follows, click model directly to get the product details.